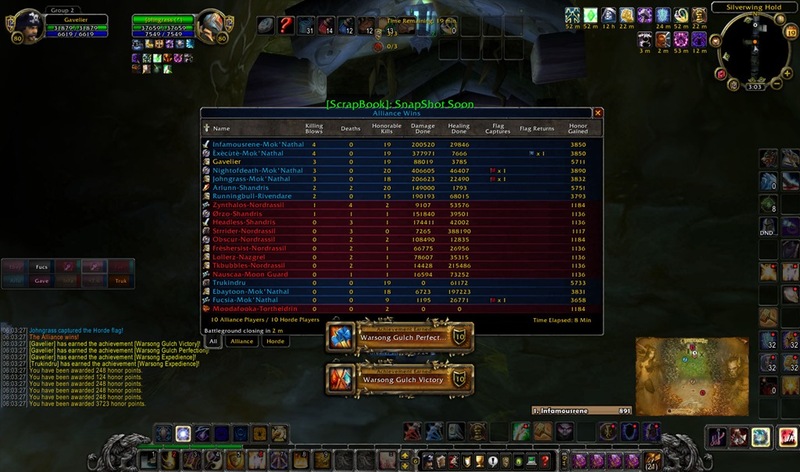 This Just In: Pirate Plunders Warsong Gultch! 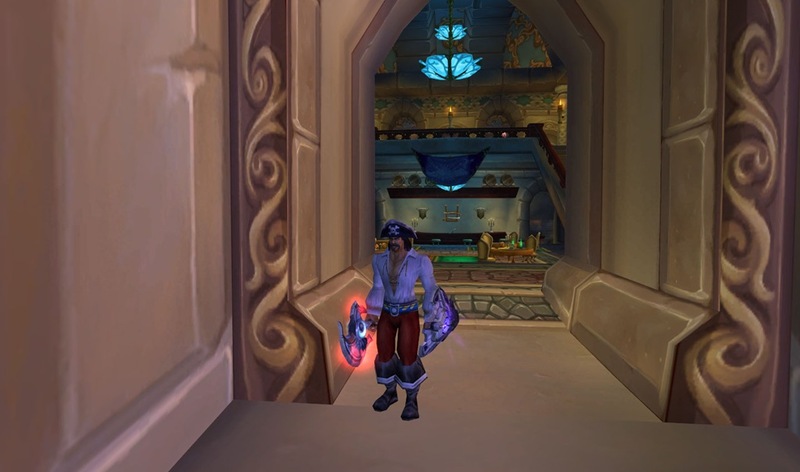 This Just In: Pirate Plunders Warsong Gultch! This Just In: Pirate Plunders Warsong Gultch! We take a break from our PTR coverage to discuss what’s going with Gavelier on Live. I’m not going to open this post with the trite pirate speak, but it is Pirates Day in Azeroth. You can speak to any commoner to get a pirate costume for a short while or speak to Dread Captain DeMeza in Booty Bay to get a 12 hour costume. Make sure you visit DeMeza to get your holiday achievement. You may notice that I’m going ‘sword and board’ in the above pic, rather then wielding my usual Tyrannical Beheader. That’s obviously because I’d been off playing in a PvP scenario. This time, it was my first excursion into Warsong Gulch. That’s a cozy little battleground, ain’t it? I took my Dread Corsair buff to the battleground (after waiting 9 minutes!) and had a great round. Sure it was mostly because my team was awesome and the horde seemingly gave up towards the end of the match, but I still had a good round. I also (because we blitzed the hell out of the place) got a couple of achievements: Warsong Expedience and Warsong Perfection. I say the horde gave up at the end because after pitched fighting around the middle of the zone on our first two flag captures, they were nowhere to be seen on our third run. We all just tailed the flag carrier into our base without seeing a single hordie. I never died, which was weird. I got hit hard a few times, but never enough to drop me below 50% health. 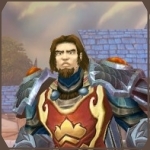 I credit our healers (a couple of paladins and a priest) and my stocking up on resilience with stuff like my PvP armor and the flask I quaffed. I did crap damage but was in the middle of everything for 19 honorable kills. I was using my Seal of Justice, so that may have contributed to my low damage output (that and I don’t have a decent one-hander) Aw well.